Are you ready to have a spa experience that will captivate your senses? 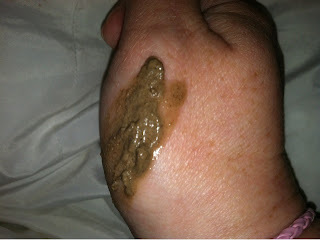 We were able to review several beauty products from Elma & Sana and would love to share them with you. 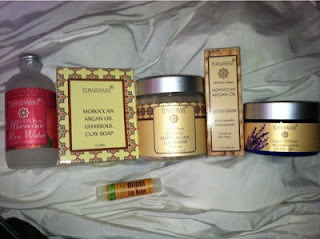 Elma & Sana uses Moroccan Argan Oil in their products. Moroccan Argan Oil is known for providing long-lasting moisture for skin, hair, and nails. The smell is nice and flowery, and perfect for relaxation. 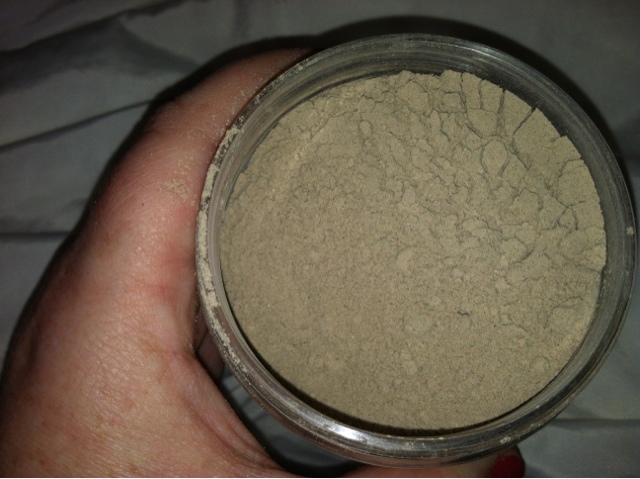 Our favorite product is the Elma & Sana 100% Pure Ghassoul Moroccan Lava Powder for Skin and hair. You may be wondering what we would do with the clay. We actually mixed it with a little bit of the Elma & Sana 100% Pure Moroccan Rose Water (a capful goes a long way) to create our own clay mask/ product. We actually treated our hands with the clay, and let it sit for about 30 minutes on our hands and washed it off. We loved the special treatment that left our hands soft! MamaBreak received products to review here on the website. We did not receive any other type of compensation. As always our opinions and experiences are our own. That sounds very interesting! I might have to try those soon.